Important public figures always have their obituaries written in advance. I did this one on Neil Simon years ago and was allowed to give it time, thought and research. Excellent editing was another plus. Then, this past Sunday, hours after his death was announced, the piece appeared on line. It’s another one of those things that newspapers do better than other media outlets. An even better example was Peter Dobrin’s obit on philanthropist Gerry Lenfest in The Philadelphia Inquirer several weeks back. The world would be a rather less-informed place without it. 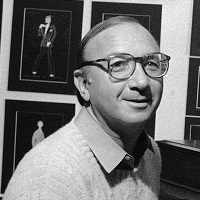 Few things in the irrational world of theatre are as easy to explain as the success of Neil Simon, who has died aged 91. The fact that his 30-odd plays have the highest hit ratio of any American author, that they won four Tony awards, and that half were made into films, all comes down to his brand of equal-opportunity humour. The laughs, the characters, the plots never require prerequisites, unlike, for instance, Tom Stoppard, whose plays are best appreciated by those with a formal education, or Joe Orton, who requires a rebellious worldview. Simon asks only that his audience should have lived for 20 years or so in something other than a cave. Read the obit for Mr. Simon in ‘The Guardian’ by you. Indeed, a very fine tribute. Glad to know that our UK friends appreciate your talent. I actually donate to ‘The Guardian’ via e-subscription, rather in the manner of supporting one’s NPR station (w/o the tax write off, to be sure).